Any thought that the ‘70s-inspired political thriller genre is dead need look no further than Kill The Messenger, the true story of San Jose mercury News reporter Gary Webb(played by Jeremy Renner), who back in the late ‘80s and ‘90s was leaked information by an unlikely source revealing that the CIA knew about crack cocaine being imported into the country by druglords, who in turn used the profits to fund Nicaraguan Contras. The story was explosive and Webb won Pulitzer Prize for his reporting, though soon found himself becoming the target of a blacklisting by other reporter and the government itself who tried to debunk the truth in controversy. It also led to Webb becoming increasingly paranoid, realizing he had angered many highly dangerous people and possibly putting his wife (played by Rosemarie DeWitt) and family in danger. Also co-starring Mary Elisabeth Winstead, Michael Sheen, Tim Blake Nelson, Barry Pepper, Oliver Platt, and Andy Garcia and more, the film creates a direct resonance to what is going on in the world today in terms of how news is reported both in the world of “entertainment journalism” and real-life political events of far greater importance. 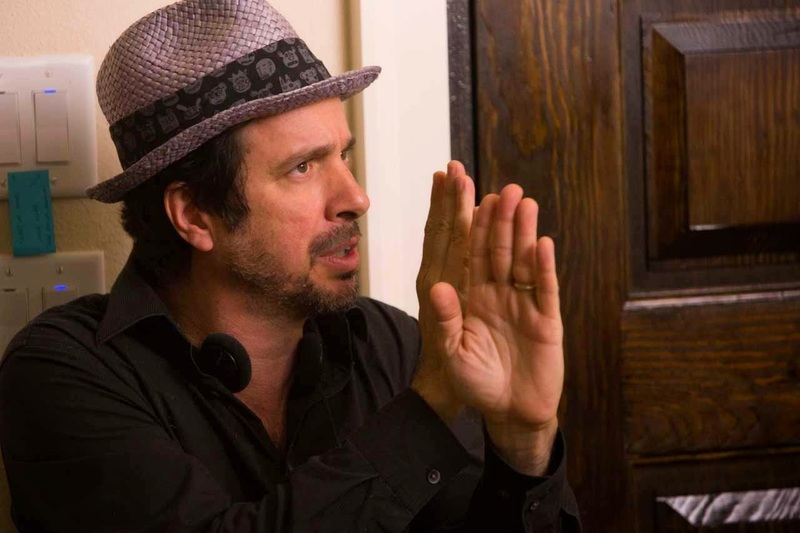 It also reteams Renner with Michael Cuesta, who directed him in the little-seen indie 12 and Holdingback in 2005, but who has gone on to become an Emmy-winning television director on shows like Showtime’s “Homeland,” following a run of acclaimed indie films like L.I.E. “Homeland” and “Messenger” has transitioned Cuesta into a filmmaker who has become deeply invested investigations into government and CIA involvement in controversial actions, something he is already exploring for his next film project. Which one of you found this script? My representatives brought it to me. It was developed by Universal Pictures and it was put in turnaround, I think because journalism movies weren’t hot at the time. One had failed at the box office—“State of Play,” that Russell Crowe thing—so it went into turnaround. I think because of the timing, me coming on board, I’ve been known to take on a couple of difficult subject matter as well. It’s my involvement with “Homeland” and the success of that show and it’s showing of the inner workings of an imperfect powerful agency. And then of course, I had worked with Jeremy before. He came with the script—he was already attached—so that to me was a no-brainer. Any chance to work with him again. I remember the true story of the guy, but I didn’t know the extent to which he was discredited and how his own kind turned on him. That I found heartbreaking but also important to tell that story. As we saw in the title credits sequence, this broke after this huge war on drugs campaign by the government. The last thing they wanted out there while Nancy Reagan was out there saying “Say No to Drugs” was that they actually had a hand in that, absolutely. Peter (Landesman, the screenwriter) also has a background in journalism. I have to imagine he did a ton of research. I used Nick Schou’s book in terms of digging in deeper. I talked to Peter but Peter worked as a screenwriter on the film but he adapted those two books. I would say for me to have a full understanding of the project was of course going back to Nick Schou’s book “Kill The Messenger” but then going into Gary’s book , because it was important to come from Gary’s point of view, so if you read Gary’s “Dark Alliance,” which is the whole story. It’s 500 pages, a dense account of who all the cast of characters are , as well as his journey through putting this story together. I was around at that time and what I remember was the outrage about the CIA potentially putting crack into poor neighbourhoods, which was never really the story , but that’s what ended up being what the public remembered , more than anything else. More than a reporter that actually never said that it was this sort of conspiracy plot, but it was spun like that, and that was one of the things that brought him down. I make a point of that in the movie. A lot of the way the story was packaged and what people turned it into was the CIA targeted bad neighbourhoods, but what Gary was saying was that there was a connection, but ne believed that it was just bad timing as far as crack being invented and also people looking the way, turning a blind eye to just drugs ending up on the streets of America in general. If you’re dealing with guys who live in the States who are sending money back, where are those drugs going? They knew. Jeremy was attached early on, but there are a lot of different roles and characters like Ray Liotta shows up for a great scene we can’t actually talk about. In fact, a lot of actors show up just for one scene, so how do you go about casting something like this? I’m a little way of including that as that may be a pretty big spoiler for some. No, don’t , because that was the straw that broke his back. Well, no, the straw that broke was the paper writing a letter retracting (the story) but in reality, Webb did go in with that but was not allowed to use it. What about the other aspects of doing a period piece even if it’s just 20 years ago? Is it hard to do that kind of thing? I thought the story was timeless. We did some screenings and people were confused what time period it was, but it almost didn’t matter because the story is the story, but it did matter in that this story was printed in ’96, so it came out ten years after the fact. The story was never reported on much in the ‘80s except for the Kerry investigation that went on and he was stone walled, so none of the papers picked it up, very little. If anything, everything was buried, so Gary’s story, the mob mentality that went on is the result of a lot of jealously. A lot of these papers knew that thet had the story and they didn’t get it. That still goes on with the internet and the different trades who are always chasing each other to claim a story as an exclusive before anyone else can get their story up. Yeah, to get scooped, right. Sometimes it’s just about who has the fastest fax machine receiving the press release. Or to stay behind a reporter who has brought the big one, like Gary did, I would think that there are other reporters that have gotten close and were told to not go down that path. Especially the L.A. Times and The Washington Post, they weren’t there. I’m sure there were reporters with better CIA contacts..? This film is a true testament to really good journalism. Or the need for it. Like with “State of Play,” because there is a need for the public to know that this stuff happens in the world of journalism. No completely. I would say that if there’s one thing I would like people to take away is that, the importance of dogged investigative reporting, journalism, and the importance of these guys. The importance to have cops on the beat like Gary was. And journalist who really stick to the story and do whatever it takes to get as much facts and people on the record as possible. Look, but you can see why the Merc pulled away. You might not agree with it but you can understand them sending other reporters back and getting conflicting stories or this person disappeared. It happened in reality was very complicated so I felt like dramatically we had to have it be like “your source is now gone and all these things are taken away and untrue.” They didn’t actually print that. They just printed the apology letter saying that mistakes were made in never getting CIA operative on the record, and Gary made a point of, “Is that ever going to really happen?” A lot of the other papers used their supposed CIA operatives as “unknown sources” and an “unknown source” can be anyone! It’s like what you get on Fox News now, who comes on. Some analyst comes on and “Who the hell is that guy? But no, they put their sources on the internet, they were the first paper to do that, because they felt the story—and this is from Webb, he said it in the movie---had a high unbelievality factor , so they were the first paper to list the links to his sources on the website, plus the transcripts of the interviews, essentially letting people into his notebook. No one has done that before, so the irony is that this guy did responsible reporting. Look, can anyone ever prove this? It’s unprovable, “because it’s the CIA, they’re a secret organization, Jerry, they don’t talk!” We have it in the dialogue. You would literally have to start secretly trailing CIA operatives which would be almost impossible. Have you talked to any reporters who were working the news beat during the time this was going on? I have some across two people who were at the Merc during that time. One person showed up at a San Francisco screening—I was just there two days ago, in the Bay Area of Berkley—and he was just thankful that the film got made, and then another guy called into NPR and started to take it apart. He started to take Gary apart and I just thought that was inappropriate. I’d say, “Give some facts about what Gry got wrong” and he couldn’t. At least I got him to admit that mistakes were made by the paper, too. I’m sure there’s a lot of stuff to be explored there. “Kill The Messenger” is released and distributed by CAPTIVE CINEMA.